Ideal for children’s tender and delicate skin, this SPF 45 provides high protection from the sun’s harmful rays. The special formula is tear-free, water-resistant and hypoallergenic meaning that it is perfect for young and sensitive skin while also providing long-lasting solar defense. The formula has been infused with natural chamomile and calendula extracts which gently pampers and moisturises young skin so you can be confident that your little one is being protected while they play. The Jason Kids Water Resistant Sunscreen SPF45 - 113g product ethics are indicated below. To learn more about these product ethics and to see related products, follow the links below. Good protection from the sun for our little boy. A better choice than chemical-filled alternatives. Great. Works as well as non-natural alternatives. Use it on kids as well as myself and we don't burn. Non chemical. Smells nice. Keeps well. Application is smooth. Brilliant. I replaced all sunscreen with this one now. 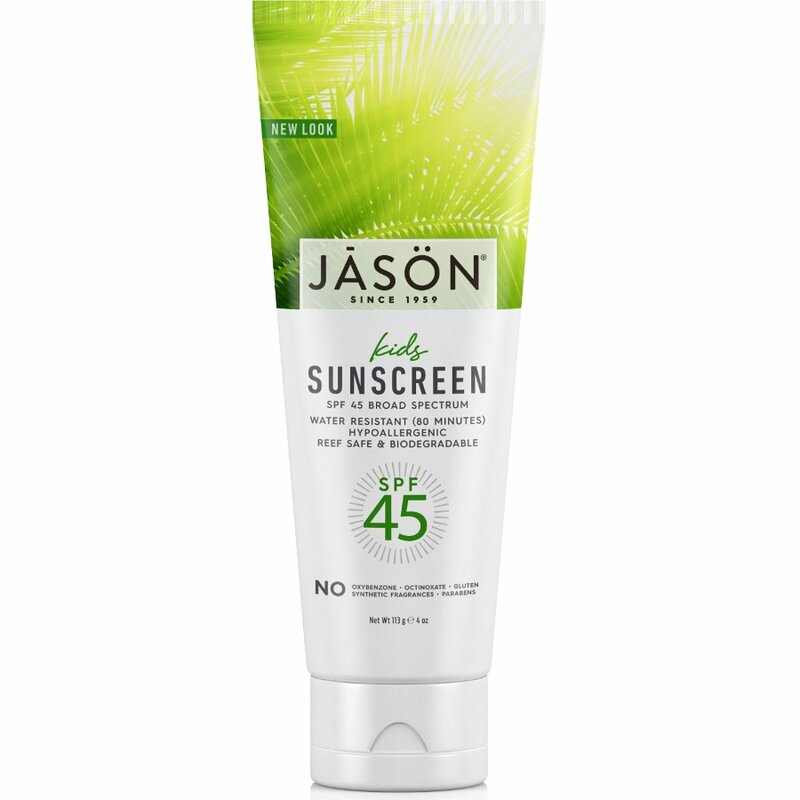 There are currently no questions to display about Jason Kids Water Resistant Sunscreen SPF45 - 113g.